We're asking gardening experts from all over to tell a little about their background, gardening philosophies, favorite gardening books, gardening websites, and most importantly their plant recommendations. We're always looking for more experts to spotlight, so please contact us if you're interested in participating! 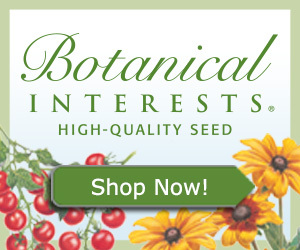 Botanical Interests is a family owned seed business that has been providing gardeners with the best selection of home gardening varieties since 1995. We offer over 600 varieties, which include open pollinated, heirloom, certified organic, and native selection, all of which are non-GMO. Our selection focuses on varieties that perform for the home gardener. Besides selection, what sets Botanical Interests seed packets apart is the helpful gardening information, specific to each variety, which fills the inside and the outside of the packet. Our goal is to inspire and educate gardeners of all skill levels, creating more gardens and gardeners to share our passion. I currently garden on the Colorado Front Range in USDA zone 5b. We have low humidity, little precipitation, and often slightly alkaline and somewhat clay soil. I have also farmed and gardened in the St. Louis, MO area, which is USDA zone 6a, with high humidity and summer heat, and variable soil. I began gardening in Connecticut, USDA zone 6b, which has acidic rocky soil. I have gardened my whole life. As a young child, I grew up in northern Minnesota (zone 4b) where my parents had a 40 acres, mostly wooded, with a 1/2 acre garden and orchard. My grandparents lived down the road and were multi-crop farmers. But my passion really grew about and took hold about 20 years ago. During high school and part of college I worked at a garden center/florist in Connecticut. My parents like to remind me how I proclaimed, “I love the smell of dirt!” I still say this, just with “soil” in place of “dirt”! Farming. I have managed a few multi-crop farms in Colorado and Missouri. I am most proud of my position as farm manager and lead educator at a CSA (Community Supported Agriculture) farm in Ferguson, MO. My experience growing 60–70 crops for a 100+ person CSA was a whirlwind education, not to mention learning how to fix a tractor and design a curriculum. During this experience, we grew vegetables, community, and farmers organically. My approach to managing the centennial farm was very holistic, thinking of the farm as a part of the habitat for wild creatures and humans, and making decisions that were meant to be inclusive to all. The apprentices still contact me for advice and many of them have gone on to grow themselves. I was also able to participate in outreach with local children and incarcerated youth. Until this experience, I didn’t realize that some children would not know food comes from the soil, and rarely had or saw whole vegetables. I also learned that children who pick kale or tomatoes and dig potatoes want to eat kale, tomatoes, and potatoes. This experience is like the gift that keeps on giving as participants continue to pass on knowledge and inspiration also have held several research positions related to agriculture and habitat, which trained me to look to science to explain things, even when the idea seems intuitive. I have a Bachelor’s degree in wildlife biology where I focused on plants as much as possible. I also earned an associate’s in environmental science. I especially love when a plant has a symbiotic (give and take) relationship with another organism. I find these little evolutions fascinating. Resistance to a soil test. You can learn so much from a soil test, plus save money and reduce pollution by not adding excess nutrients. About 8 or more hours. Having gone from farming to gardening, I am much more efficient. I volunteer with a few local and non-profit farms in my spare time. For me, it is naturally grounding (pun intended). Having gone from farmer to gardener really allows me to fully enjoy all the tasks in my comparably small garden space. I really feel like my garden is my creative space. Likely my parents, who lived a very self-sufficient lifestyle in Northern Minnesota when I was young. I was taught to garden and collect wild edible plants as soon as I could walk. Morning. I usually focus on harvesting in the morning, things are quiet, and it feels like even the birds are excited for a new day. I don’t think I have had the pleasure of seeing it yet! I am always pleased to see what people do with their space and vision. I used to landscape and also have garden center experience, which really gave me the perspective that creative possibilities are endless whether the space is large or small. While it would be horrible to only grow one plant, probably tomatoes, as homegrown tomatoes are the best. I would love to grow sweet potatoes and okra again but they just aren’t well-suited for northern Colorado. I wear a conical Asian hat (think rice paddy) in the garden. It’s a favorite life-saver I discovered while farming. The hat and my handy Felco snips in holster can complete any gardening outfit. I garden holistically and try to think of the garden as a part of the whole environment. For example, I scout for pests regularly but I don’t react when I see a few, rather I wait for their predators to come, which has proven to be the cycle again and again. Attempting to manage a garden to the level of zero pests is a waste in my opinion; you must have some food to keep a healthy population of predators waiting in the wings. Tall posts and birdhouses in the garden attract insect eating birds, and even a small falcon from time to time. 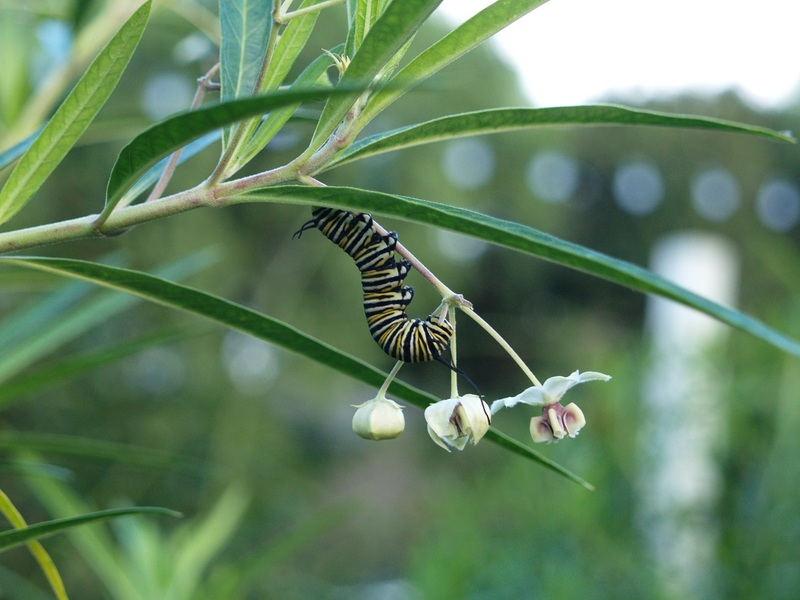 By trying to understand the biology of things, you can make good decisions about how to respond to pests, and potential trouble in the garden is easier to see. While most of my inspiration and break-throughs came from personal mentors, there are a couple books that really helped me along the way. Eliot Coleman’s Four Season Gardener went a long way in helping me successfully plan sowing dates to extend the growing season. Crop Planning for Vegetable Growers by Frederic Theriault and Daniel Brisebois was a huge help to me in planning plantings for a CSA. The knowledge I gained from these books helps me help home gardeners and new diversified farmers. Gardening isn’t magic, it is something anyone can do, provided they have proper tools and information. Every gardener I have ever met has killed something. Luckily seeds are relatively inexpensive, so we try again with better tools and information. I try to explain things from an approachable biological perspective to help people understand big picture ideas, and give them the ability to make inferences based on that knowledge. And while I hope to help all kinds and levels of gardeners, I am most inspired by children as gardeners, and helping them make an impact on their family and community.